Green Bay’s postseason ride in the 2019 CIT came to an end on Thursday night. The Phoenix fell to Marshall 90-70 in the CIT title game, handing Green Bay a runner-up finish. Green Bay finishes the season 21-17, breaking the single season program records for both total points (3,090) and 3-pointers made (303). The Phoenix led 42-40 at halftime, but Marshall (23-14) poured in 50 points in the second. The Herd had 16 offensive rebounds, converting them into 24 second-chance points, while scoring 58 points in the paint. ShanQuan Hemphill scored 21 points and pulled down 13 rebounds to lead the Phoenix, his fifth double-double of the season. As a team, Green Bay was held to a CIT low 37.5-percent (27-72) from the field. Green Bay will return 78 percent of its scoring, along with four out of their five starters next season. Sandy Cohen III played his last game for the Phoenix, finishing with 13 points. Green Bay’s Sandy Cohen hit a 15-foot jumper with 1.5 seconds left in overtime, giving the Phoenix (21-16) a 87-86 win over Texas Southern in the CIT Championship game on Tuesday night. Green Bay led by as many as 9 points with just over four minutes left before the Tigers scored eight straight points as the two teams would be headed for a tight finish. Tyrik Armstrong scored with seven seconds left to tie the game at 76. Green Bay’s Kam Hankerson missed at the buzzer and the game was headed for overtime. Texas Southern (24-14) went up by one with eight seconds left, setting the stage for Cohen’s game winner. Cohen finished with 23 points and Trevian Bell added 21 to lead the Phoenix. Green Bay will play at Marshall in Thursday night’s CIT Championship. The Green Bay Phoenix (19-16) rolled to a 98-68 win over Florida International in the Second Round of the CIT on Tuesday night at the Kress Center in Green Bay. 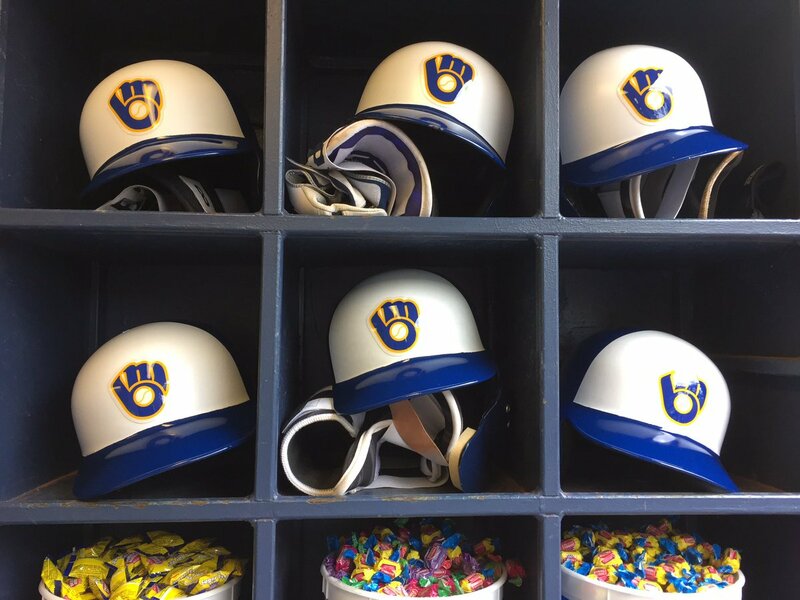 It marked the first time a Green Bay Phoenix team won back-to-back postseason games. Sandy Cohen III continued his postseason tear, nearly notching a triple-double with 20 points, 10 rebounds and eight assists. It’s the fifth time in his last six games that Cohen has notched at least 20 points, while moving within 31 points of 1,000 for his career. 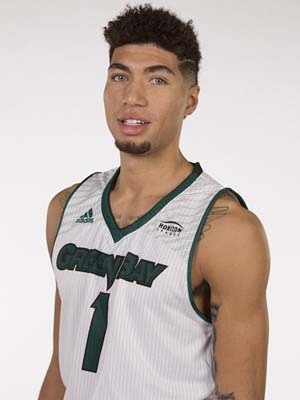 Green Bay shot 51.5 percent for the game and is averaging 100 points in two CIT games. 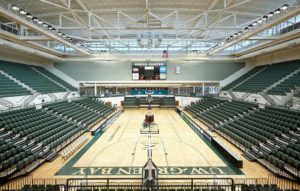 The Phoenix will host CSU Bakersfield (18-15) in a CIT Quarterfinal game on Friday night (6 p.m.) at the Kress Center on the Green Bay campus. The Green Bay Phoenix are making their sixth postseason appearance in the last seven seasons. They’re taking on East Tennessee State on Wednesday night in the opening round of the 2019 CollegeInsider.com postseason tournament. This is the third time in four seasons that the Phoenix will appear in the postseason under coach Linc Darner. He led the Phoenix to the NCAA Tournament in his first season and the College Basketball Invitational (CBI) in 2016-17. 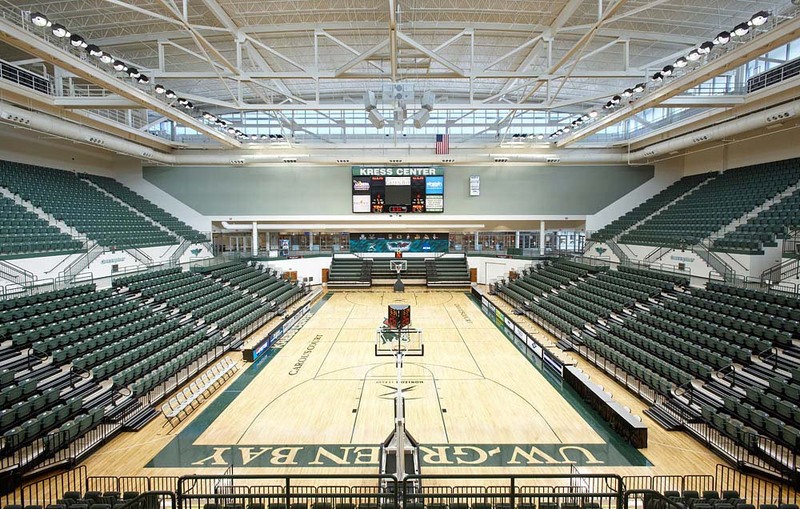 Green Bay last played in the Horizon League Tournament, being knocked out in the semifinals by league champion Wright State. Tipoff tonight is set for 6 p.m. CT inside Freedom Hall. The Panthers turned a 10-point halftime deficit into a 83-76 win over the Cleveland State Vikings in Horizon League action Thursday night. The Panthers shot 60-percent from the field, 54.5-percent from beyond the arc and hit 19 of 25 free throws while forcing six of their season-high 20 turnovers to spark a 22-4 run to lead Milwaukee to victory. Darius Roy scored 24 points to lead four players in double figures for the Panthers (6-9, 1-1 HL). Green Bay converted its final 12 free throws of the game and used a 10-0 run in overtime to take down Youngstown State 99-93 at the Resch Center. The Phoenix (8-7, 2-0 HL) improved to 3-0 at home this season, while the Penguins have now lost seven straight. JayQuan McCloud led Green Bay with 24 points, going 9-of-14 from the field. Kameron Hankerson added a season-high 19 points off the bench, shooting 7-for-11 from the field and 4-for-7 from beyond the arc. For the sixth-straight season and the 22nd time in program history, the Wisconsin volleyball team earned a bid to the NCAA tournament. 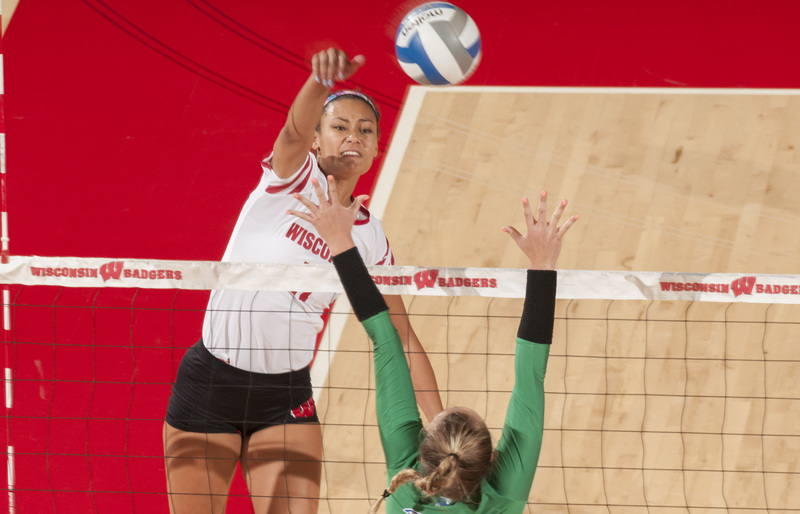 The Badgers were selected as the number-six seed in the 2018 championship bracket and will host first and second rounds in the UW Field House on Thursday and Friday. Wisconsin (22-6) will face Green Bay (20-10) in the first round on Thursday at 7:30 p.m. Northern Iowa (24-9) faces off against Pepperdine (21-8) in the opening first-round match at 5 p.m. First-round winners will face off on Friday at 7 p.m. for the right to advance to regional play. The Badgers hold a 43-21 (.672) all-time record in the program’s 21 NCAA tournament appearances. UW is 15-5 under head coach Kelly Sheffield in the NCAA tournament, advancing to at least the Sweet 16 round of play each season. Wisconsin has been a top-10 seed in the tournament six times since seeding began in 2000. A total of seven Big Ten Conference teams made it into the NCAA tournament, including No. 2-seed Minnesota and No. 3-seed Illinois. Mike Heideman – Photo courtesy of Tom Neises. 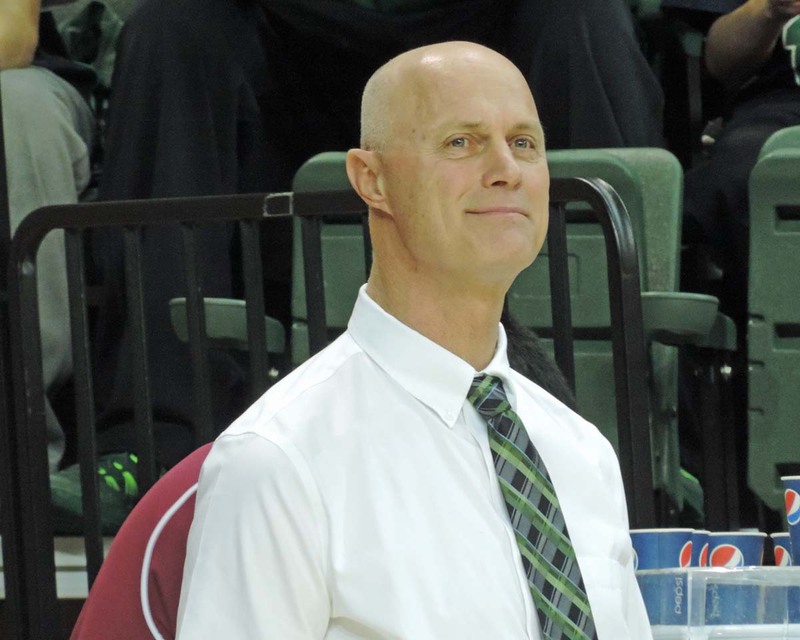 Former UW-Green Bay and St. Norbert College men’s basketball coach Mike Heideman died Saturday at the age of 70, losing a battle with cancer. 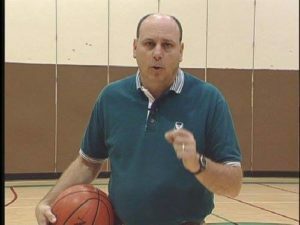 Heideman served as head coach of the Phoenix for seven seasons, posting a 110-95 overall record. He posted 20 or more wins in two of those seasons. 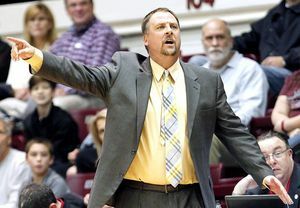 Heideman was fired after going 9-21 in 2001-’02, his third straight losing season. Prior to that, Heideman had never finished below .500 in any of his first four years. Heideman led the Green Knights to the Division 3 Sweet 16 in 1984.